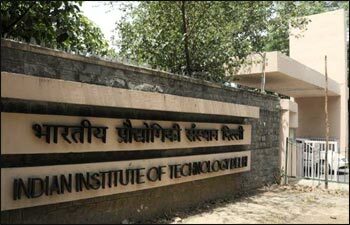 The fee of IITs may be hiked by November 5.The standing committee of the IIT Council which meets in Mumbai on November 5 is expected to recommend raising tuition fee of undergraduate programme from Rs.50,000 to Rs.90,000.The development comes as an empowered task force is still considering the details for implementation of the Kakodkar Committee which had recommended last year a steep hike of Rs.2-2.5 lakh per annum from the existing Rs.50,000.As the task force is in the process of deliberation, the proposal for raising the fee by Rs.40,000 per annum would be taken up by the directors as an "interim measure", sources said. The Kakodkar Committee constituted by the Council of IITs had suggested the four-fold increase in tuition fee to help IITs attain financial independence.The IIT Council had given in principle approval to the recommendation to be implemented from 2013, with the then Indian HRD minister stating that the extra burden would be "paid back" by students once they are employed.While the empowered task force is deliberating the issue, the group of directors of IITs, in the meantime, at a meeting in February considered the proposal for tuition fee hike, the matter of which would come before the standing committee on November 5, the sources said. The meet is also expected to take up the issue of periodic peer review of IITs as per the recommendation of the Kakodkar Committee.The committee had stated that the government should, through the IIT Council, exercise its prerogative over the IIT by invoking the power of the visitor every five years so that the achievements and governance of the IITs is reviewed by a committee.This would ensure transparency and accountability to the government and the public. The government can take any corrective step based on this report without impinging on its autonomy.